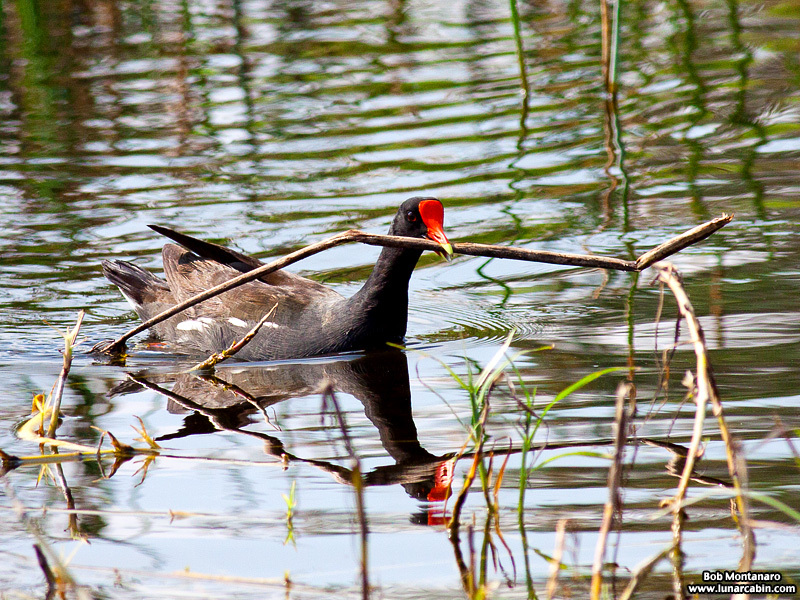 This Common Gallinule, formerly known as a Moorhen, carries a stick with great urgency as seen recently during a visit to Egret Marsh Stormwater Park. The bird disappeared into the bushes with the stick so we never found out what it was doing. Most likely building or fortifying a nest.